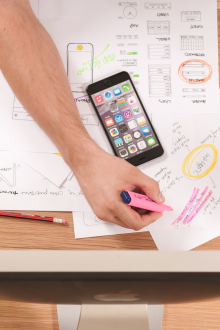 TikTok, a Chinese video-sharing app which was previously known as Douyin and later merged with Musical.ly, keeping the title Tiktok has gained immense worldwide popularity since its launch in 2016. With its rise, the top tiktok users have also reached heights and now have become celebrities. 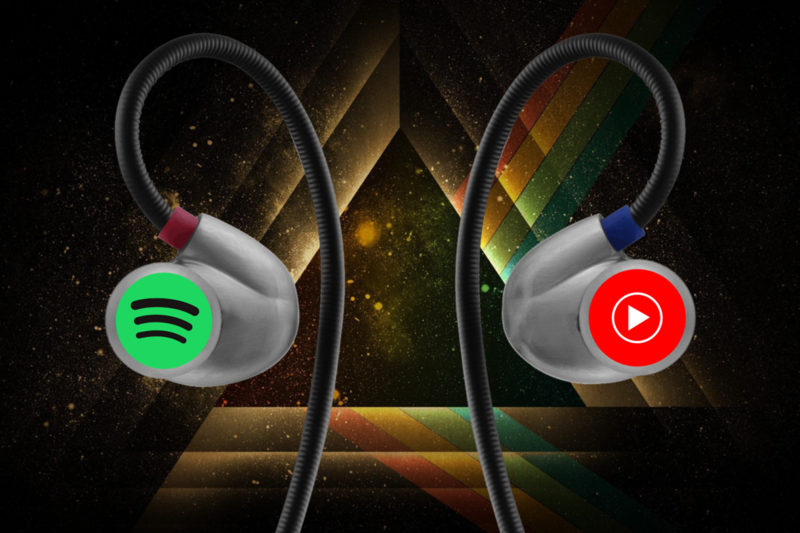 The app allows you to create, upload and share your video up to 15 seconds long using various editing tools and effects and do all crazy stuff, be it lip-syncing to a music track, enjoying fun acts, with the music of your choice playing in the background. 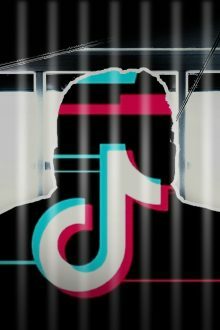 Many of the creators of other platforms like YouTube have opted for TikTok and now are Top TikTok Users. 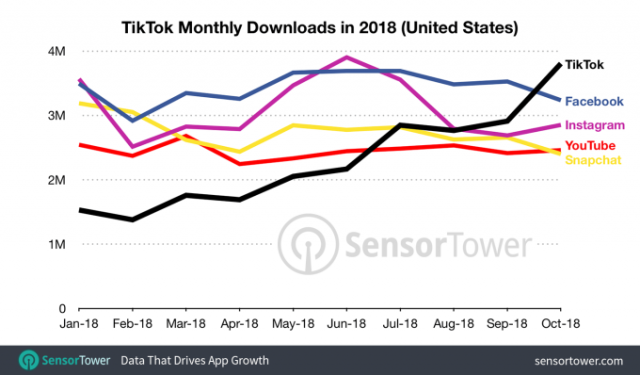 In the first quarter of 2018, Tiktok became the most downloaded app on Apple’s app store surpassing Facebook, Instagram, YouTube with over 104 million downloads, according to San Francisco based app analytics platform, Sensor Tower. The trends of Google Play are no less than a surprise too. 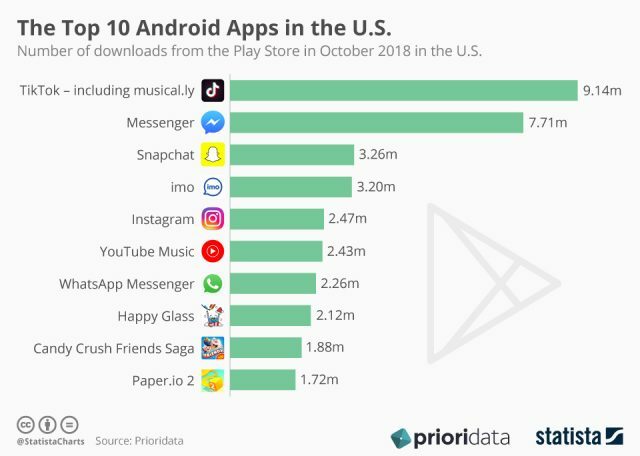 As per PrioriData statistics, Tiktok enjoyed the first position with more than 9 million downloads in the US, leaving behind most popular apps like Facebook Messenger, Snapchat, WhatsApp and more. 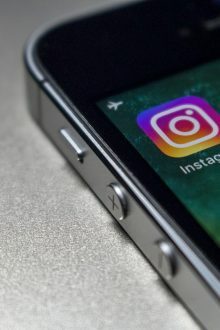 The app has a huge fan following in the US with the app ranking second most downloaded app (both Google Play and iOS) with over 6 million downloads in October 2018 and the app in merely two years since its launch, made a whopping jump of more than 400% in the number of downloads worldwide. 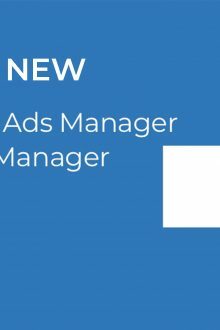 With creative, humorous and entertaining stuff and content, Tiktok has over 500 million global users, and it gives you an opportunity get among the Top TikTok Users to reach out to the mass audience within few minutes of posting your video either on TikTok or other social media platforms and gain fame and stardom just like a celebrity with people following you. 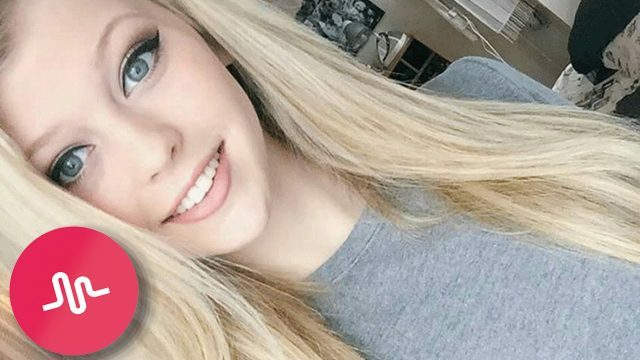 She is an American Singer (Pottstown, Pennsylvania ) who has a great following on YouTube, Instagram and is one among the Top TikTok Users in USA. She has 3.4 M subscribers on Youtube, 16.1M followers on Instagram and 30.4M follows on TikTok. She joined Musical.ly in 2015 and was able to make 28M+ followers and due to her popularity she has been awarded many times for her singles. Ariel Rebecca Martin aka Baby Ariel is an American actress, singer, and a social media personality. She is known for her short videos on TikTok and is widely popular as Top TikTok Users in USA. She has been recognized as the most influential person on the Internet by Time magazine and has also got featured as top entertainment influencers on Forbes’ 2017 list. She had also joined the Top TikTok Users world with Musical.ly in the year 2015. She has nearly 10M followers on Instagram and 3.1M subscribers on YouTube. 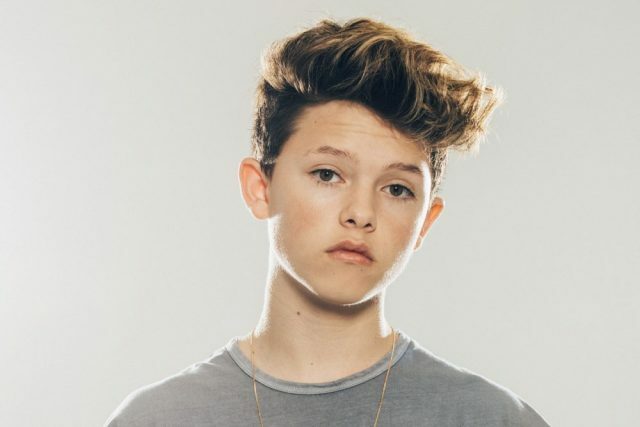 Rolf Jacob Sartorius is an American singer & Social Media Personality, who has gained his name via social media an is counted among Top TikTok Users in USA. He released his debut single song “Sweatshirt,” which then reached Hot 100 charts in the USA and Canada. Sartorius started by uploading his first online video to Vine in the year 2014 when he was 11 years old. It was about anti-bullying, and it went viral on social media. 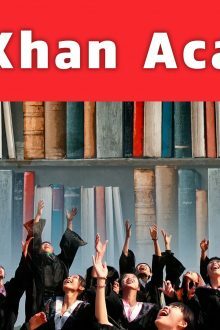 Later during the same year, he joined Musical.ly, and after that, his fame kept on increasing, and by 2016 he was the ninth most searched musical artist making into the list of Top TikTok Users in USA. 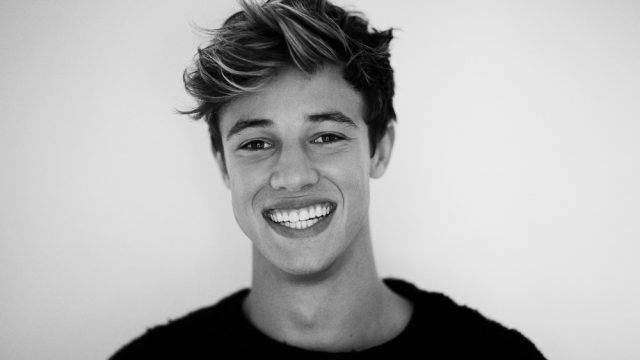 Cameron Alexander Dallas is an American Actor and Social media personality. 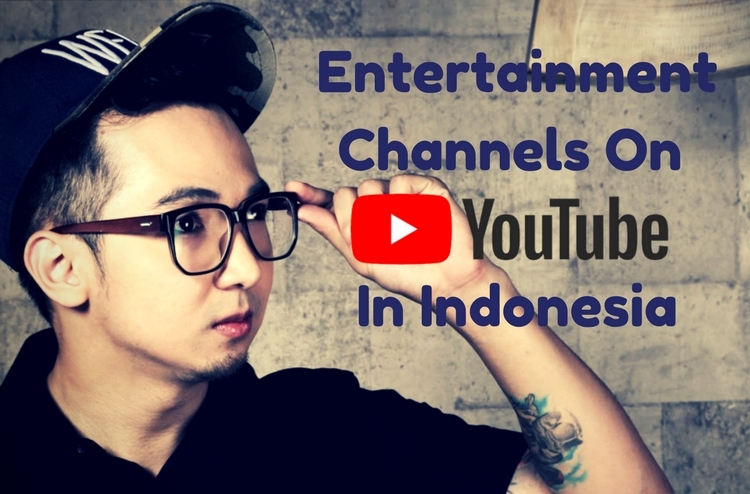 He has gained fame through video applications like Vine, TikTok and YouTube. He started his career by posting jokes and pranks videos on Vine. After that, he gained immense popularity on Twitter and Instagram followed by being in the Top TikTok Users league. He currently has more than 8M followers on Vine, 11M+ on Twitter, 21M+ on Instagram and 17.8M+ followers on TikTok. Dallas has now started starring in Hollywood films like Expelled and The Outfield and also on Netflix reality show Chasing Cameron. 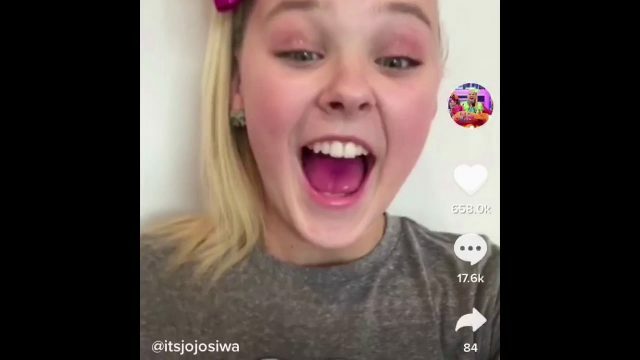 Joelle Joanie aka JoJo Siwa, is an American (Omaha, Nebraska ) actress, singer, dancer, and a Social Media personality. Siwa posts daily videos of her life on YouTube channel and short videos on TikTok. Siwa gained immense popularity with her singles “Boomerang” & “Kid in a Candy Store” among the teenagers and due to which she is signed to Nickelodeon and has made appearances on many shows like “Dance Moms” and “Abby’s Ultimate Dance Competition.” Being among Top TikTok Users in USA, She has 8.1M followers on Instagram, 6.7M+ subscribers on YouTube and 17.4M followers on TikToc. 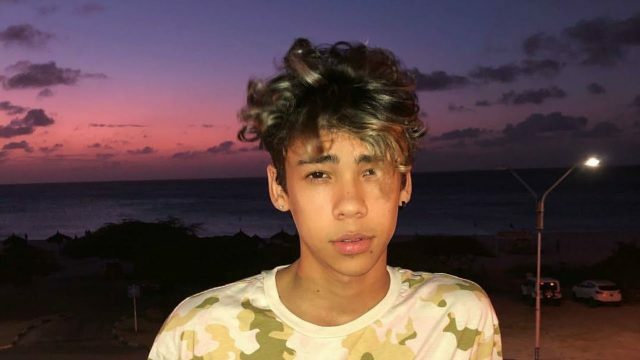 Jayden Croes is a star among Top TikTok Users in USA and Social Media celebrity, who lives in Los Angeles, USA. He gained his popularity by posting short comedic videos on Musical.ly (now TikTok), Instagram and through his show on YouTube called CroesBros having near to 1M subscribers. He plays various comedic characters which he portrays for both TikTok and Instagram posts. He currently has 734k followers on Instagram and 15.4M followers on TikTok. Zachary King is an American TikTok and Vine star, filmmaker and Social Media personality based in Los Angeles. He is known for his “magic vines” aka “digital sleight of hand” which are short edited videos to look like magic. He started by posting videos on YouTube in 2008 and then to Vine in 2013. 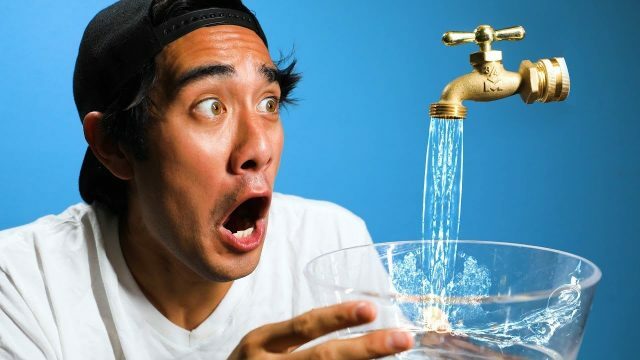 He has been a contestant in the 28th season of Reality game show “The Amazing Race” and also won YouTube’s NextUp Creators contest. Since he was fourteen, he started working on a Mac computer and cameras. Since then he started making and editing videos. 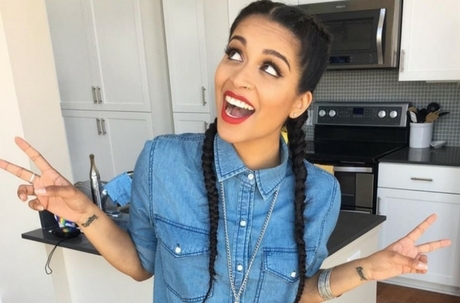 CRAZY unknown facts about iiSUPERWOMANii!